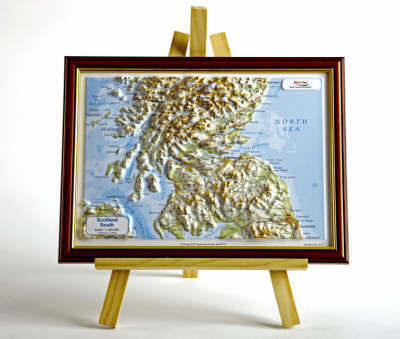 Dorrigo raised relief maps are available framed in choice of dark or light solid wood moulding styles or without a frame for customers to choose a finish of their own. They are ready to be wall mounted. The mapping is very accurate at a scale of 1:1400,000 and offers a unique presentation of rivers, roads, contours and spot heights. Finished size is 255x335mm. Area coverage of this maps is from Aberdeen to Durham.